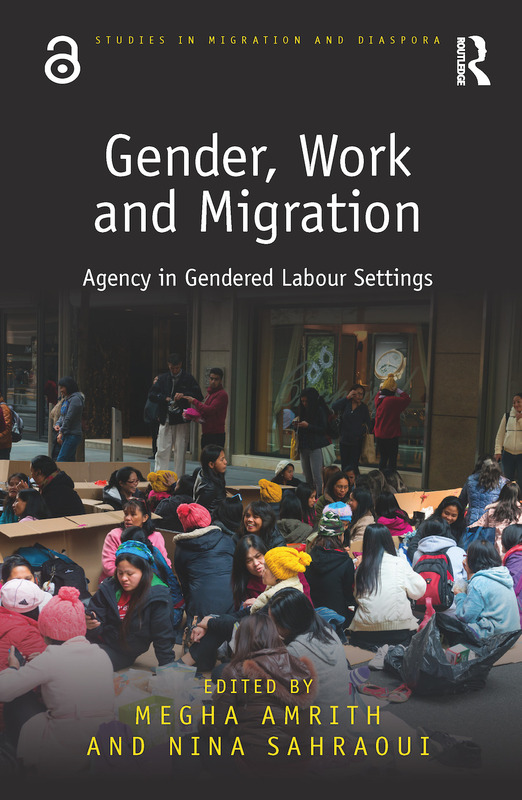 While the feminisation of transnational migrant labour is now a firmly ingrained feature of the contemporary global economy, the specific experiences and understandings of labour in a range of gendered sectors of global and regional labour markets still require comparative and ethnographic attention. This book adopts a particular focus on migrants employed in sectors of the economy that are typically regarded as marginal or precarious – domestic work and care work in private homes and institutional settings, cleaning work in hospitals, call centre labour, informal trade – with the goal of understanding the aspirations and mobilities of migrants and their families across generations in relation to questions of gender and labour. Bringing together rich, fieldwork-based case studies on the experiences of migrants from the Philippines, Bolivia, Ecuador, Zimbabwe, Mozambique, Mauritius, Brazil and India, among others, who live and work in countries within Europe, Asia, the Middle East and South America, Gender, Work and Migration goes beyond a unique focus on migration to explore the implications of gendered labour patterns for migrants’ empowerment and experiences of social mobility and immobility, their transnational involvement, and wider familial and social relationships. Megha Amrith is Research Group Leader at the Max Planck Institute for the Study of Religious and Ethnic Diversity. She holds a PhD in social anthropology from the University of Cambridge and has research interests in migration, cultural diversity, citizenship, labour, care and civil society activism. She previously worked as a research fellow at the United Nations University Institute on Globalization, Culture and Mobility (UNU-GCM). She has conducted research in different parts of the world on the experiences of female migrant workers in domestic and care work sectors, and as well as on migration and social inclusion in cities. She is the author of the monograph Caring for Strangers: Filipino Medical Workers in Asia (NIAS Press, 2017). Nina Sahraoui is currently Research Associate at the European University Institute within the project EU Border Care. This project, funded by the European Research Council (ERC), is a comparative study of the politics of maternity care among undocumented migrants on the peripheries of the European Union. Nina has completed a three-year Marie Sklodowska-Curie Fellowship at London Metropolitan University. Her doctoral research focused on migrant workers’ experiences in older-age care in London, Paris and Madrid, and her research interests revolve around a gendered political-economy analysis of the articulation of employment, care and migration regimes. She worked for two years as project officer in the Rabat School of Governance and Economics in Morocco. Nina has previously conducted research on diasporic identities, transnational mobilization and the migration–development nexus, notably in relation to the Moroccan case. Studies in Migration and Diaspora is a series designed to showcase the interdisciplinary and multidisciplinary nature of research in this important field. Volumes in the series cover local, national and global issues and engage with both historical and contemporary events. The books will appeal to scholars, students and all those engaged in the study of migration and diaspora. Amongst the topics covered are minority ethnic relations, transnational movements and the cultural, social and political implications of moving from 'over there', to 'over here'.